Aunt Dot’s birthday cake was always something people looked forward to. 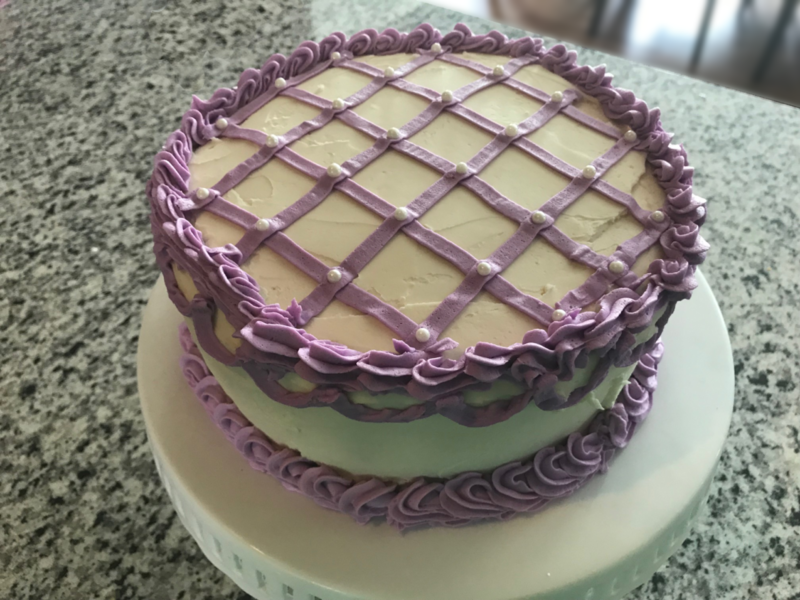 It was a delicious yellow cake, topped with fresh buttercream. My opinion is that REAL buttercream or cream cheese frosting are the only types of frosting that should ever be used on a cake. Aunt Dot always made this in a single deep cake pan as a two layer cake. My modification is to cook it in two 9″ cake pans, and then cut those in half to make a four layer cake. 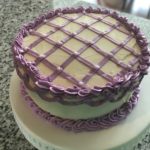 I do a layer of cake, a layer of raspberry jam, a layer of cake, a layer of buttercream frosting, a layer of cake, a layer of raspberry jam, a layer of cake and then frost the whole cake with buttercream.